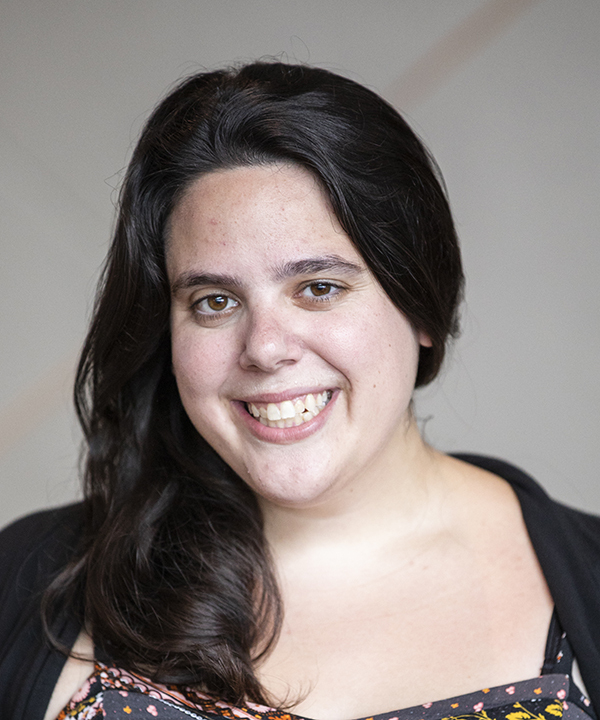 Allen School Ph.D. candidate Kira Goldner has received a Mathematical Sciences Postdoctoral Research Fellowship from the National Science Foundation to advance her work on algorithmic mechanism design for social good. Goldner, who works with professor Anna Karlin in the Allen School’s Theory of Computation group, will take up a postdoc position hosted by professor Tim Roughgarden at Columbia University following her graduation from the University of Washington this spring. Throughout her studies, Goldner has often focused on theoretical problems that have real-world applications across multiple domains. She launched her research career by focusing on revenue maximization within mechanism design. In one high-profile project, Goldner tackled the so-called FedEx Problem, which deals with determining how to sell a variety of shipping options in order to maximize revenue for FedEx while meeting the expectations on the part of the customer in terms of service quality and cost. The Fedex Problem is a fundamental one that has implications in multiple market sectors, from shipping, to internet service, to cloud computing. Goldner and her collaborators designed the optimal revenue-maximizing auction for situations in which prior information on consumer values are known, contributing new algorithmic techniques and a greater understanding of mechanism design beyond single-parameter settings. With algorithms playing an increasingly prominent role in systems that impact people’s day-to-day lives, Goldner became interested in algorithmic mechanism design for social good. She is particularly keen to explore how the techniques she honed on classic theoretical problems can be applied in domains such as health care and labor markets to maximize outcomes for both society and individuals — despite participants acting in their own self-interest. Such systems have tangible, sometimes high-stakes effects on people’s physical well-being and economic prospects, as well as on the welfare of society as a whole, via the allocation of resources, the setting of policies, and the regulation of activities to achieve certain outcomes. For instance, the goal of a health care system would be to align providers’ incentives with the dual (and sometimes dueling) goals of minimizing costs while maximizing patient health. Online job recruiting systems should be geared toward identifying optimal employer-employee matches while mitigating discriminatory hiring practices. Goldner aims to bring mathematical formality to these and other pressing social issues, applying her expertise in algorithmic mechanism design and game theory to develop new theoretical approaches for meeting objectives that are motivated by the social good. To this end, Goldner has also been sharing her vision with the research community. In the fall of 2016, she co-founded the Mechanism Design for Social Good (MD4SG) initiative. That effort spawned a collection of events that Goldner also has co-organized — including an annual workshop, an online research group, and more — and inspired industry-funded grants on the topic. In December 2017, she delivered an invited tutorial on mechanism design for social good at the Conference on Web and Internet Economics. Goldner previously was recognized for her work with a Microsoft Research Ph.D. Fellowship and a Google Anita Borg Scholarship. She also was named a finalist for the Facebook Fellowship and earned two Honorable Mentions in the annual NSF Graduate Research Fellowship competition.